The alphabet challenge has for me come to the M. As Maitreya is one of my go-to-stores for clothing and certainly for shoes, Maitreya will play the major role in this post. I'm sitting in an autumnal scene at the Meet Sim. Dressed in a dress from Maitreya, with elegant shoes from Maitreya and in my sweet May skin from Curio. 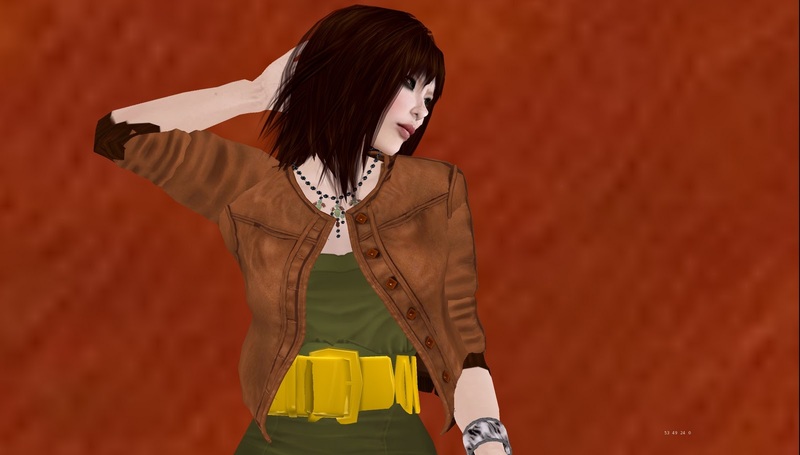 The autumnal color is still there and the outfit is the same, but I put on another skin, simply because I could.